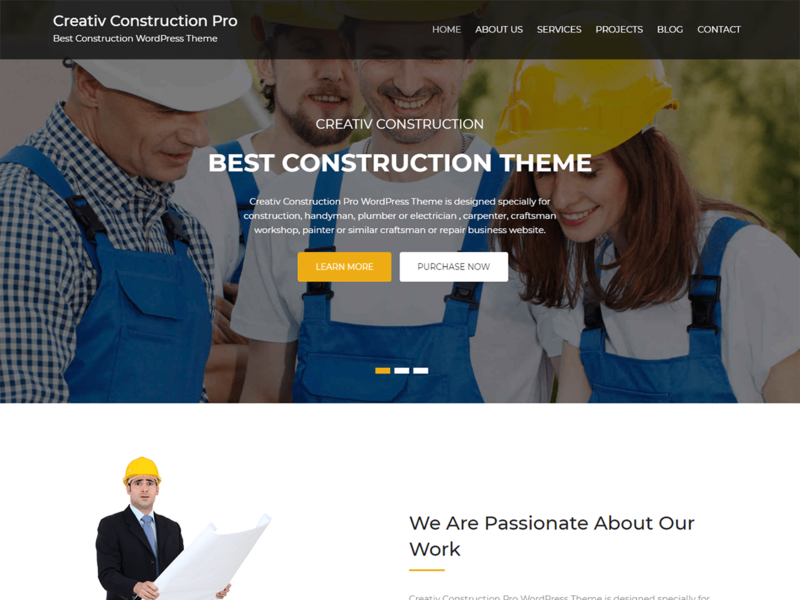 Creativ Construction Pro WordPress Theme is designed specially for construction, handyman, plumber or electrician , carpenter, craftsman workshop, painter or similar craftsman or repair business website. Creativ Construction Pro template has beautifull and unique design. It is fully responsive and tested on all major handheld devices. It is very easy to setup and use. It is built in Site Origin Page Builder which is very easy to setup and customize.